Kathleen, a Girl Scout Ambassador from Medway, was inspired to raise awareness of the benefits of having bats in the community and what can be done to cultivate their population. 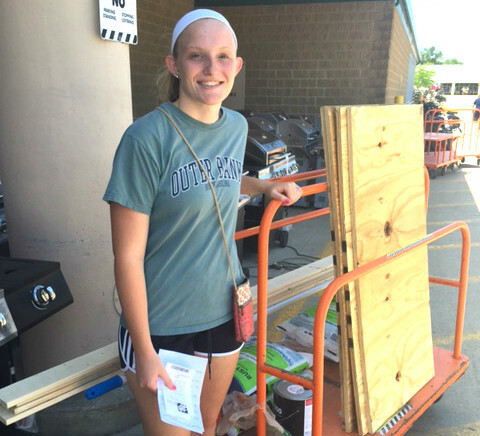 Kathleen built bat houses for the Medway Community Farm and her own backyard as an eco-friendly alternative to pesticides. 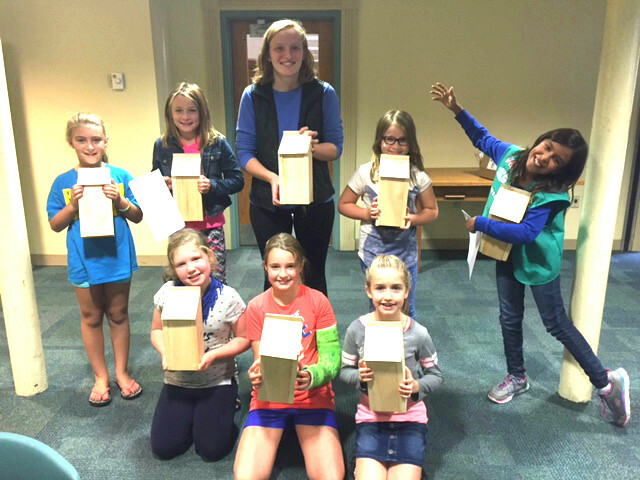 She also met with a local Girl Scout troop and talked with them about how bats contribute to a healthy environment by eating pests that can inhibit crop growth. Together they built small bat houses for their own backyards. She also gave presentations to the Medway Middle School Green Team, and created interactive packets, and a pre- and post-presentation survey to assess comprehension. The club will continue to give these presentations to fifth grade students each year, and the Medway Community Farm will continue to include Kathleen’s research and efforts as part of a self-guided tour. We are inspired by the way Kathleen is making the world a better place!